BLUE Pyrenees in Western Victoria has long been renowned for its sparkling wines, but for lovers of reds in the true Bordeaux style, a tempting new release is their 2006 Estate Red that like the Bordeaux practice of "assemblage," is blended from an extraordinary number of wine parcels from different vineyards. In fact there are no fewer than fifty-five different parcels in this wine, each made from fruit off vineyards nearly a half-century old. The result is a blend that's 51 per cent Cabernet Sauvignon, 35% Merlot and 14% Shiraz, making for a richly-flavoured drop whose trio of varietals make it a perfect partner for big-flavoured meat dishes. Or if you've the will-power, at $35 a bottle to put a few away in the cellar, this one's got a good 15-20 years of bottle life in it. ONE FOR LUNCH: A WINE that helped put Orange in the Central West of NSW on the map as a leading maker of Australian Sauvignon Blanc, was the 2008 vintage from Logan Wines. A vibrantly flavoured and outstandingly aromatic wine, it also has a touch of botrytis about it, due no doubt to quite substantial falls of rain while the fruit was ripening; whether it was this latter or other reasons, this wine has already picked up three trophies and a Sauvignon Blanc of the Year award. And interestingly the just-released Logan 2010 experienced similar rainfall conditions to that successful 2008 drop, so it will be worth watching how the 2010 follows through as well on the show circuit – it has similar vibrantly fresh guava, passionfruit and sage flavours to the 2008 that nicely tantalise the taste buds with every mouthful. At $22 it's one to snap-up and enjoy with a French bouillabaisse. The Burning of the Canes Luncheon at Whispering Brook is one of the most anticipated events in the Hunter Valley calendar. This event is based on the old French tradition called Festival of the Sarment, where the canes from the previous harvest are used to cook a celebratory feast over open fire, so the flavours of the vines are imparted into the food. This year local Redgate Farm Catering will be providing a two course gourmet menu which will suit all tastes and budgets, and wine will be available for sale at the Whispering Brook Cellar Door. There is also an exclusive opportunity to take part in a vertical Shiraz tasting ($20), where you can explore the flavours of one of Australia's oldest wine regions through six of Whispering Brooks exquisite Shiraz vintages. Also, from 12noon on Saturday, the talented Darren Jack Acoustic Trio will kick off with some fabulous entertainment for the guests. So come along and soak up the enchanted atmosphere with burning vines, music and wine. The NSW Wine Awards are once again upon us as the annual search for the 2010 NSW Wine of the Year begins with judging taking place on September 20 and 21 prior to the awards program and presentation dinner 18 – 21 October 2010 (see program below). For NSW winemakers, the NSW Wine Awards are the most serious and coveted competition as in 2009 these awards generated more than $2.4 million in media coverage for the Top 40 NSW Wines, Trophy Winners and in particular, the NSW Wine of the Year. In the face of the awards growing success, 2010 will see the awards taking on a new face, with some serious changes. Firstly, the judging panel. 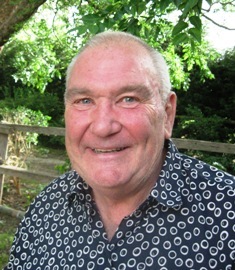 Respected wine journalist Huon Hooke has been secured as Chair of Judges for 2010 and 2011 bringing experience and strength to the awards. Hooke will be leading a highly esteemed panel of 20 judges, like never seen before at these awards, including internationally renowned wine writers, sommeliers and wine industry professionals such as Iain Riggs, Peter Bourne, Tim Stock, Philip Shaw, Mike De Garis and Nick Bulleid MW. Secondly, for the first time, Gold, Silver and Bronze medals will be up for grabs as well as the hotly contested Top 40 NSW Wine placements, Trophies and coveted title of 'NSW Wine of the Year'. The introduction of medals is to allow consumers to readily recognize NSW Wines that have achieved medal status at the awards. Tiffany Nugan, Chair of the NSW Wine Strategy, says, "Since the NSW Wine Strategy launched in February 2008 to increase the awareness of NSW Wine, sales have grown immensely now being worth more than $69.2 million, having grown 14.6% or $10.2 million in the last year alone. Restructuring the awards to include medals will help consumers, who are eager to discover NSW Wines', to buy a wine with confidence knowing it has achieved medal status in the awards." Nugan goes on to say, "This year's awards are set to be the most coveted to date. With Huon Hooke as Chair, the awards have undoubtedly been elevated in the minds of NSW Winemakers, trade and consumers." With over 800 entries from NSW's 14 diverse wine regions being entered this year, the competition to win the title of 'NSW Wine of the Year' will be tough. Entries to the NSW Wine Awards will be critiqued over two days (20-21 September inclusive). Judging will be completed in two stages across 16 classes by 20 judges comprising some of Australia's finest wine writers, sommeliers and winemakers. The first day of judging will take place with 5 panels of four judges reducing the 800 odd entries to approximately 120. Each panel will be chaired by a leading figure from the Australian wine industry. On the second day, 2 panels of the judges comprising the Panel Chairs from the first round will then determine the Top 40 NSW Wines, Trophy Winners and ultimately, the coveted NSW Wine of the Year. To enter this competition, wines must be made from NSW grapes. Tetsuya's Restaurant, 529 Kent St, Sydney. 7pm. Tickets $290pp including degustation menu & wines. Bookings on 02 9267 2900. Museum of Contemporary Art, 140 George St, The Rocks. Trade Tasting 2.00- 4.00pm. Pre-registration compulsory. IF you move quickly, you've still a chance to grab a bottle of a Shiraz that when reviewed in this year's The Big Red Wine Book scored just one point below the most famous Shiraz of them all, Grange. Wine critic Campbell Mattinson and wine publisher Gary Walsh shared their knowledge on over 1000 red wines, including more than750 new releases across all prices and styles, and rated wines in the book on price, value for money and investment potential; they awarded 94-points to the Tintilla Estate Patriarch Syrah 2007, just one short of the 95 they gave to the 2005 Grange. And remarkably the Tintilla is priced at just $60 a bottle, even though only 100 cases were made of only the second vintage of this flagship red. Robert and James Lusby have been making Hunter Valley Shiraz for fourteen years, and decided a few years ago to make a Tintilla "Patriarch Syrah" from the most exceptional vintages, labelling it a "Syrah" in respect to early Hunter pioneers who'd brought-in Syrah vines (that we now call Shiraz) from France. 2007 was one of those years, with drought and sunshine leading to optimal fruit conditions to make a wine with concentrated flavours and potential for great life expectancy; winemaker James says they called it "Patriarch Syrah" as his father Robert had named his wines after his children, "and it seemed only fitting that the company's flagship wine should be named after Dad." The 2007 has intense dark-berry, clove, dark chocolate and Hunter sweet leather flavours, and nicely integrated oak; one to enjoy with game dishes. ONE FOR LUNCH: YARRA Burn has launched a first-ever Victorian premium vineyards Cuvée Riche sparkling wine, a style that leans towards being luscious and honeyed and is ideal with most party-room finger-foods from cheeses and olives to dips and tapenades. At just $19.99 this is a delightful toss-it-down drop for any celebratory occasion – or a Spring Sunday brunch. The families behind Australia's favourite wineries. Australians have a love affair with wine and in particular, our home-grown Australian wine. Wine is part of our culture and the symbol of celebration for every occasion. We drink the wine, we enjoy the experience, but we never stop to think about the history behind our favourite wines. From Brown Brothers to Yalumba, these families have pioneered the Australian wine industry making it what we know today. John Wiley Australia is proud to present Heart & Soul: Australia's First Families of Wine - a decadent wine book offering an exclusive look behind cellar doors into the history of 12 of Australia's most established families of wine. Each winery holds a history richer than its produce. From De Bortoli influencing a nation to move from fortified wines to table wines we know today, to Murray Tyrrell from Tyrrell Wines protecting his vines by shooting fireworks into the sky to break up hail and stealing cuttings from Penfolds, each story is as delectable as the wines themselves. 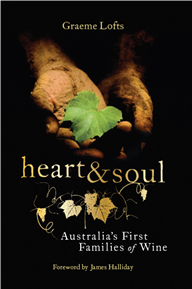 Written by Graeme Lofts and with a foreword by Australia's favourite wine commentator James Halliday, Heart & Soul Australia's First Families of Wine is so much more than a compendium of wine – it is a look into the authentic heart and soul of Australia's heritage. WHEN British sea captain, Henry Stentiford decided to call it a day way back in 1893, he didn't settle in his homeland, but instead chose the colony of South Australia which he'd taken a fancy to during his days at the helm. Stentiford's vineyard on the rich soils of Coonawarra was ultimately bought by legendary "Patron of Coonawarra" Eric Brand in 1950; Brand and his family set up the area's first small winery there in 1966 and crafted exceptional premium wines until the family sold out to McWilliams in 1999. One of the latter's most outstanding wines is their Brand's Laira Stentiford's Old Vine Shiraz that's made from fruit off the original vines planted 117 years ago by the old Captain; the just-released 2006 is a powerful drop, yet while huge on flavour still has an elegant palate of spicy, dark berry fruit flavours, toasty cedar oak and a long finish showing fine and lingering tannins. – and ideal with South Australian crayfish. Not cheap at $74.99 it's certainly worth an investment for a special occasion dinner – one that celebrity chef, Peter Howard suggests could have as a centre-piece chargrilled sirloin steak, braised eschallots and Maitre d' butter. ONE FOR LUNCH: The Coonawarra Fruit Colony had been founded in 1891 by John Riddoch at Katnook, and today's Katnook Estate Wines has just released a 2009 Sauvignon Blanc made from fruit grown on the original Riddoch block. Labelled Katnook Founder's Block it's got full-on Sauvignon Blanc flavours and at $18 is a great match with fresh South Australian crayfish – and will have you feeling like you're drinking a little bit of history, particularly as John Riddoch's original office is now Katnook Estate's Cellar Door. Australian Chardonnay is still the world's best according to judges at the world's biggest and most prestigious wine show, The Decanter World Wine Awards. London's Royal Opera House was the venue for last night's unveiling of the 28 ultimate world beating wines from the 10,983 entries in the 2010 Decanter World Wine Awards. WA's Cullen beat hundreds of Chardonnay's from around the world to be presented with the international Trophy for Chardonnay over $18 for their 2007 Kevin John Chardonnay. The four tough rounds of judging to decide the International Trophy winners saw Cullen's wine beat the best Chardonnays from over twenty countries including France, Italy, Spain, New Zealand, the USA, Chile, Argentina, South Africa and even China. Despite Australian wines seeing stiff competition from South American wines in many export markets Cullen showed that Australian Chardonnay, which is generally credited with kick starting the Australian wine boom in the UK and USA, is still unbeatable. With less than 0.25% of wines entered winning an International Trophy Cullen and Grant Burge have joined an elite rank of world class producers recognised by the world's most prestigious and toughest wine show.